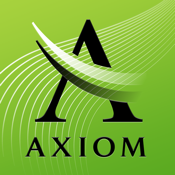 The Axiom Mortgage Calculator is an easy-to-use FREE mortgage calculator. Calculating mortgages has never been more fun with preset pickers at your fingertips. Spin them to quickly set the principal amount, amortization period, interest rate, payment frequency and even payment amounts - or enter your own values with the all-in-one interface. Visit www.axiommortgage.ca for more information.